Sony Corp has picked a former official at the US Department of Homeland Security for the new post of chief information security officer, months after a massive hacking attack leaked information on 100 million user accounts on its games networks. 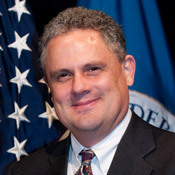 Philip Reitinger, previously director of the US National Cyber Security Center, will become senior vice president and will report to general counsel Nicole Seligman. Reitinger, who has also worked for Microsoft and the US Department of Defense, will be based in Washington.